Project Sister Act Collaboration: Cold Shoulders. 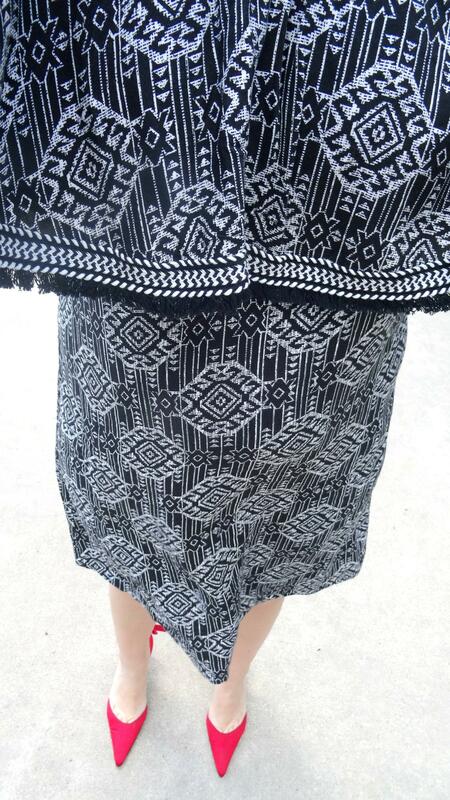 So, I have another LBD Collaboration today just like on Wednesday's Post. Today I am collaborating with "Project Sister Act". 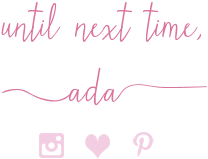 "Project Sister Act" is a bi-weekly feature created and hosted by SHEELA, the creative writer and creative fashionista behind the blog Sheela Writes. Sheela who hosts her own linkup every Friday (today) started this "Project Sisters" feature some time ago, in February 2016. The idea was to show everyone how a trend, fashion prompt or style challenge can be worn and interpreted by any and all ages. Sheela is a mom in her 40s and her stylish daughter Eve is always a part of this project along other sisters in different age brackets. 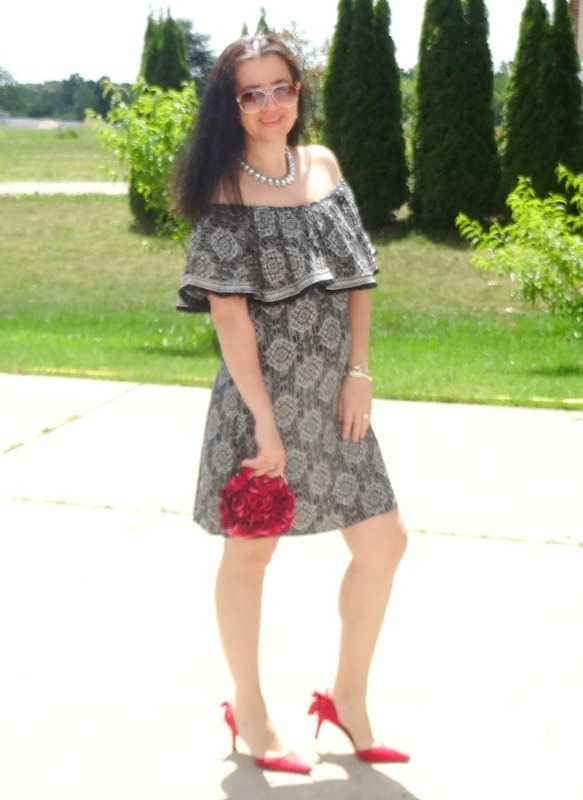 Today, the prompt is cold shoulders and I am covering the 30s age category but look below to see everyone's outfits and how all of us sisters from different ages do cold shoulders. 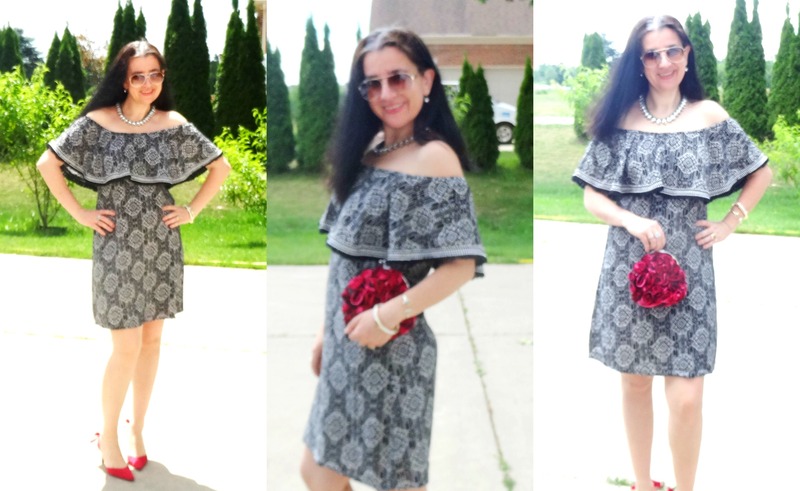 I decided to go with an off-shoulder dress and I know I am doing floral dresses all this week and mine is definitely not floral, it is more of an ethnic print or better-worded: tribal. But you can also call it a floral motif. 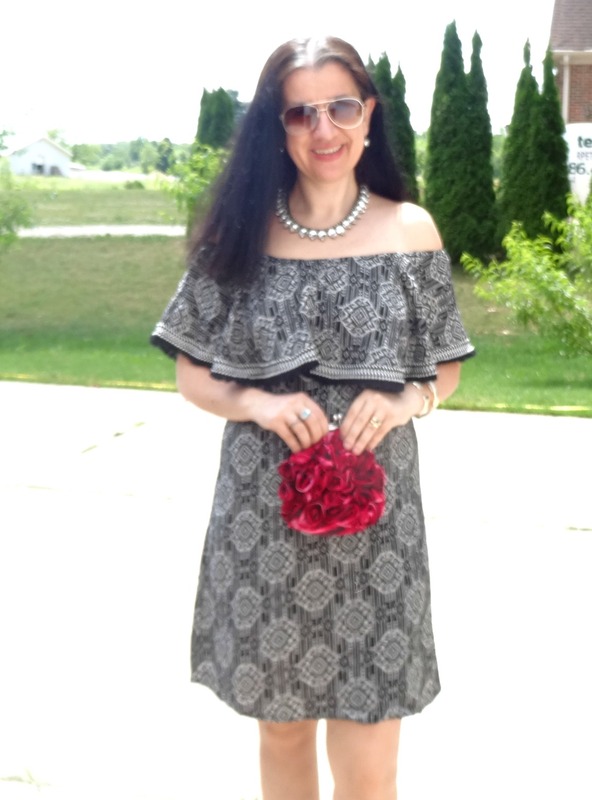 Since I am wearing a dress all this month and do not own a cold-shoulder floral dress, this is the dress I chose for the Project Sisters Collaboration this week. 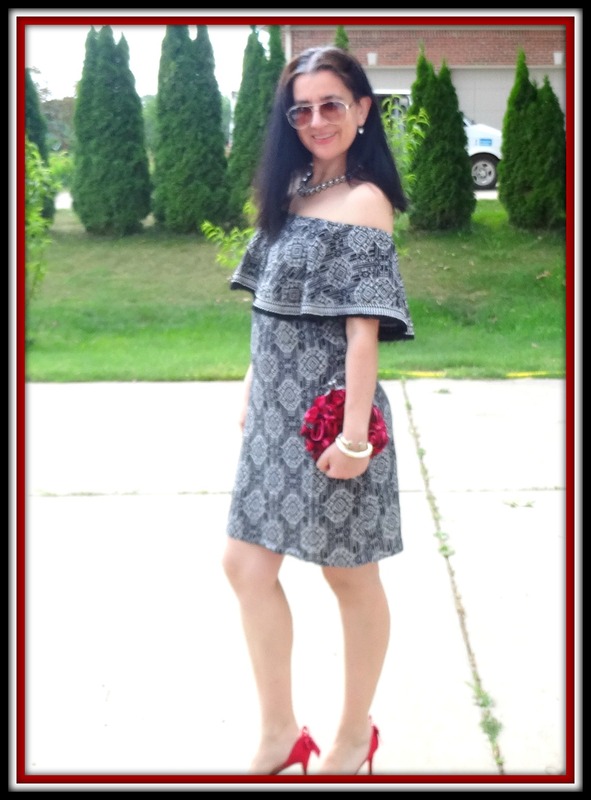 ...However I love, love this Black+White Tribal Off-Shoulder Dress with the oversized ruffle which has little fringe tassels on the hem. If you remember from a few weeks ago this Off-Shoulder White Dress, it is very similar to the one from today. Actually they are both from the Xhilaration line at Target and I love them. It also comes in a Red+Black Floral Print and I might buy it too. 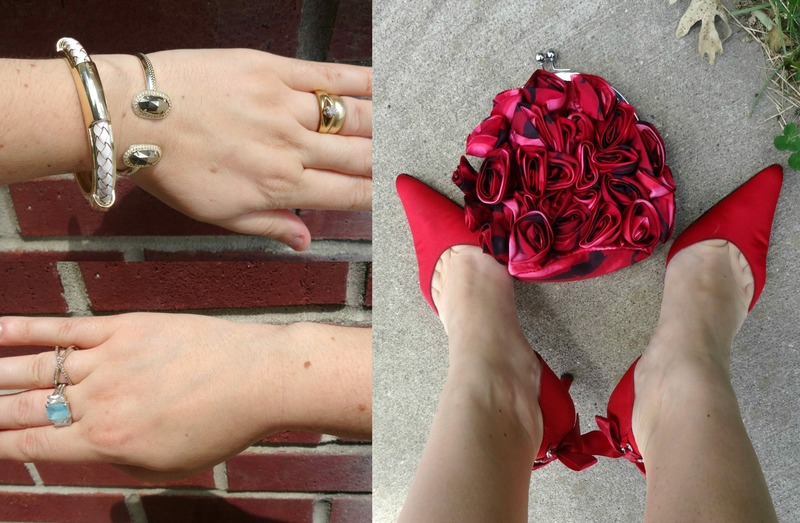 I dressed it up with Red Accessories and a Gorgeous, Bold Crystal Necklace. I really wanted to focus on the shoes and purse (my adorable rose clutch) also as a honor to our fierce stylish host Sheela, who always wears the most fun, most unique, most beautiful shoes and purses. Her stiletto and clutch collections in particular, are on fire! I added simple Crystal Drop Earrings and a couple of Cuffs too. Are you wearing the cold shoulder or over-shoulder trend this Summer? Do you own an Over-the-Shoulder Dress yet? If so, go buy one because not only they are cute and versatile, but also so easy to wear. Here are all of us in the Project Sister's group for this week's prompt: Cold Shoulders. 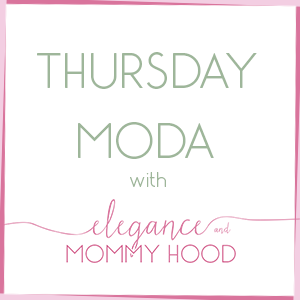 Stop by the other ladies' blogs today to see their outfits in detail. I love how all of our interpretations of this trend brought together 5 different outfits but which are all dressy and a little fancy. That Floral Cold-Shoulder Maxi is beautiful and unique and Eve chose fun, retro yet modern, chunky-heel rust sandals to pair it with. She is showing us her edgy side mixed with girly goodness. Veena's Outfit is Elegant, Polished and Office-Appropriate. I love the full-length Red Culotte Trousers - they are gorgeous. Mother and daughter have on Beautiful Cold-Shoulder Maxi Dresses, today. Bonus points that Sheela's is in a Rose Quartz and I love those matching Laceup Pumps - so pretty. Rena is all dressed up in her Geometric Top with a trendy Hi-Lo Skirt. Her Black+White Wedges are so beautiful and I want them. 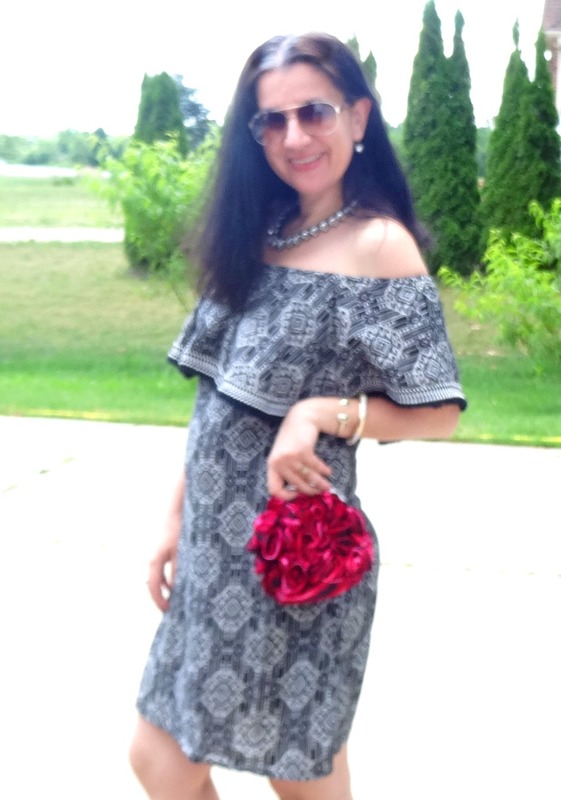 Red, Rose-Patterned Silk Pouch Clutch w/ 3D Roses: White House Black Market (similar), (similar, Splurge), (similar, huge Splurge). 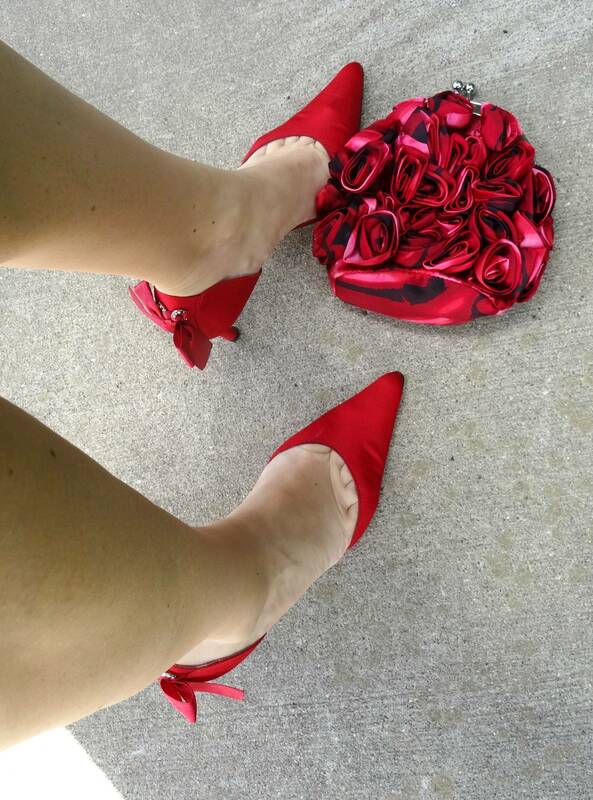 Red Satin D'Orsay Pumps w/ Kitten Heels & Mini Bows: Anne Klein (similar, Steal, love these), (very similar, Great Deal), (similar, small Splurge, my Favorite). 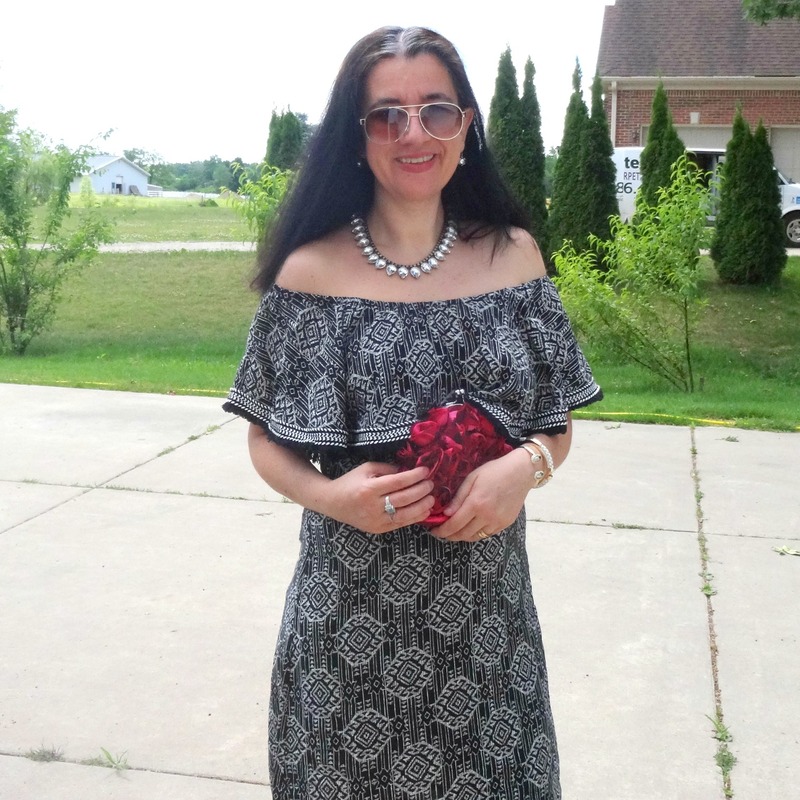 Black+White Tribal Print, Off-Shoulder LBD w/ Ruffled Tassel-trim Neckline: Xhilaration via Target (New) (similar, Steal), (similar, Great Deal, love this), (similar, my Favorite), (very similar, small Splurge). Silver Starburst Drop Earrings: A Local Boutique (similar, Steal), (similar, Great Deal, my Favorite), (similar, Splurge). P.S. 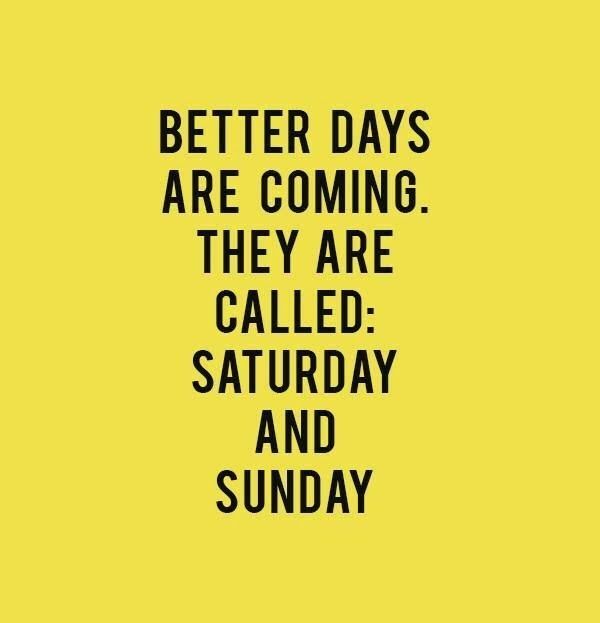 Linking up with Adri + Jessica, Amanda, Annie, Christie, Claire, Colleen, Dawn Lucy, Diane, Doranda, Grace, Heather, Jaymie, Jenna Marie with Carylee, Jennie, Jolynne, Karli, Kelly, Lauren, Lisa, Melissa with Sheree + Rachel, Michelle with Regina, Monica, Nancy, Osy, Patti, Rachel, Rachelle, Rosie, Sheela, Shelbee, Tara (Socialite), Tiffany, Veronica, Vicki, Whitney Nic and The Wardrobe Stylist. .